Have a question about the "new" SASS Wire? Having trouble logging in? Ask here! 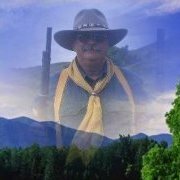 SASS Wire is a forum for the Membership of SASS and guests interested in SASS Cowboy Action Shooting. All users are subject to the policies set for by The Single Action Shooting Society in their Moderator Guidelines posted on this site. Users are allowed only one registration. Multiple registrations will be deleted without notice. The SASS Wire is for NON-COMMERCIAL POSTINGS ONLY. Commercial Posts, Pile On Infomercials or links from merchants or dealers will be deleted and repeat offenders will be suspended from using the SASS Wire. SASS reserves the right to remove and delete any malicious, demeaning, instigating or threatening posts without notice. SASS reserves the right to disallow solicitations of membership, commercial posts, fundraising efforts, links to other bulletin boards or chat rooms, and plain rude behavior and will delete such posts without notice. Repeat offenders will be banned from the SASS Wire without notice. SASS in no way endorses or guarantees any information posted on these pages. All postings are deleted after 30 days. Opinions expressed here do not in any way reflect the opinions of The Single Action Shooting Society, or any of its employees. The SASS Wire Saloon is the Social Gathering Spot to discuss topics not directly related to shooting in SASS Cowboy Action Shooting. The SASS Wire Classified is for NON-COMMERCIAL POSTINGS ONLY. Offers on the Classifieds may only be posted by a SASS Member (you may not post for someone else), in good standing, and must include his/her SASS Number. Offers posted by Guests or Members not including thier SASS Number will be deleted. You may not sell reloaded ammunition. Commercial Posts from merchants or dealers will be deleted and repeat offenders will be banned from the SASS Wire. Auctions, raffles and fundraisers are not allowed and will be removed immediately. SASS in no way endorses or guarantees any information posted on this page. Postings will automatically be deleted after one week. ***BE INFORMED*** It is mandatory that all firearms sales are done through the proper FFL channels. Other agencies read this Wire and you are strongly advised to abide by the law. If you are not sure of the laws for firearm sales and transfers, learn before you buy or sell. 38th Annual END of TRAIL is scheduled for June 13-23, 2019! Check back here for updates and Information on END of TRAIL, the World Championship of Cowboy Action Shooting, Wild Bunch Action Shooting, and SASS Mounted Shooting. Post and promote your local, club, and other events here!